You Are About To Be Handed The Opportunity To Grab The Exact Video Software Used To Power A 7-Figure Online Business...What Will You Do With It? Power Your Own Business Using Video! You Can Have The Coolest Videos In The World, But What Good Is It If The Videos Don’t Display Consistently For Your Target Market? Congratulations! You are about to end your video management worries for good! Testing it himself let David and his team create a powerful, yet simple solution with ONLY the functionality they needed to enhance any business using video by focusing on functionality AND marketing power. We needed the ability to fix any issues that came up for our customers quickly and easily! And we've been using it for over three years with now 1,800 PLUS videos playing from tour site using Amazon S3 and YouTube as the streaming hosts. Hundreds of NAMS members and community members have been pounding on it for quite a while too. That’s why we’re releasing version 7.2. You can use other hosts, even your own. I Jumped On This Right Away Because …Somebody FINALLY Got It Right! I’ve been sick and tired of dealing with video player issues for a long time. It cost’s me a ton of money in customer support costs and worse…sales opportunities lost forever. I’ve been looking for a rock solid easy -to-use, pay-on-anything and don’t-bury-me-with-technical-details video player plugin…and I found it! There are lots of cool features that will help you convert viewers into buyers (fast). IF you are paying a monthly fee for a very basic video player service like I am…the one time price is a no-brainer. I’m delighted with Simple Video Management System and I can’t recommend it highly enough. "I actually put together a certified training course in one day!" We’ve just removed the 2 biggest hurdles you’ve faced in dealing with videos on your website, blogs, and membership sites! 1) Getting videos to play consistently across all browser and mobile devices. 2) Effortlessly managing all your videos from one area. In the next few moments, I’m going to give you a critical advantage over 99.9% of all other online business owners. 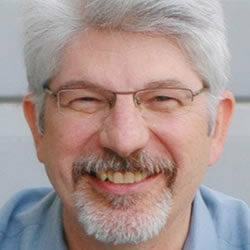 This is the advantage used by David Perdew to build his 7 figure business! Some might even say it’s an "unfair" advantage. Specifically, I'm going to give you the one single tool he uses everyday to generate exposure, leads, and sales with videos. I installed the plugin, grabbed a random YouTube video, created a test product in Shopify with your video code in the description, and it worked fine in Chrome and Safari on my Macbook and on my Android phone. Perfectly sized on all, and I didn't enter anything in the SVMS entry for the video except the YouTube link. I'm impressed. The Simple Video Management System Tool Does All Of That! And YES! The video at the top is using the Simple Video Management System to reveal magic buy buttons toward the end. Post Your First Video In Only About 80 Seconds Following Just 4 Extremely Simple Steps! You simply copy/paste the link to your video which could be hosted on YouTube, Amazon S3, another cloud storage provider, or your own web hosting account. Takes all of 10 seconds tops for this step. Add the title of the video into the system so you can easily reference the video later. This title only shows to you in the backend of the plugin which is great for your own cataloging purposes. This step takes 10 seconds tops! Decide what special enhancements you want to use with your video to maximize the engagement, conversion, and desired results for your video content. These enhancements include choosing the video size, how you want the video aligned on your website, whether you want the video to auto play or not, do you want to hide the controls on your video, do you want to loop the video, do you want to show HTML code for a buy now button, optin form, or call to action, and what link do you want to redirect people to after the video ends! You can choose any of these options that fits your particular needs for that video or none of them, but no matter what your video will display clean on mobile devices and big monitors across all main stream browsers! This part should take no more than 30 seconds to complete! This is simple copying and pasting the shortcode or embed code that Simple Video Management System provides for your website. This time can range anywhere from 10 seconds to 30 seconds. You can rest easy and relax knowing your video will display in all browsers, will display on mobile devices, and all the videos are organized beautifully in one location! No more worrying about lost revenue and leads because your videos do not play properly. Remember: The Embed Code Works On Any Website – Not Just WordPress Blogs! You just install this plugin to a WordPress website you choose, but the video code can go on any website. So it gives you a central management system for all of your videos! That is the sheer power of this plugin! With the multi-site license you can have even more flexibility because you can use shortcodes to quickly post the videos to your WordPress sites, or you can store videos specific to your various websites under one install. The cool thing is that this plugin has everything you need to make videos work for you and your business! If the site isn't a WordPress site, no problem! Use either the raw html code or the iframe code. No problems! Why Should Video Be A Vital Part Of Your Business? This is a valid question. Check out these statistics below which tell you several reasons that you should not only be using video, but also ensuring that your videos are playing for everyone that watches the no matter what device they are on! 74% of millennials use video to comparison shop. Here are 9 different ways that David Perdew is using video within his own business, just so you can get an idea of the ways you could use a simple video player to grow and expand your operations. Video is used in many different facets of any successful online business. As you see from the previously mentioned stats video is almost essential if you want to maximize your reach, your leads, and your bottom line. Businesses that continue to use video will have a long future ahead. It is time to jump on the video band wagon now! Work in all browsers all the time! We shouldn’t have to say this, our experience with other video players says we must: Working in all browsers is the key. So, whether your video is Flash or HTML5, the video player must adapt, and display it cleanly and quickly even if it is on a mobile device! Look at my example to the right! How would you like your video to display on mobile devices? The clean one on the left is after I implemented the Simple Video Management System plugin to host my videos! Or any cloud storage. In fact, all you need is a URL to a video and you will able to play it in this Simple Video Manager System. So, if you want to host your own videos on your server, you can. 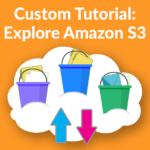 Amazon S3 is the standard for streaming data so it only makes sense that it is the most important service to accommodate. YouTube is king. Just like using Amazon S3, all you need to do is load a YouTube URL (not the embed code) in the player and it works smoothly. And because we’ve mastered the YouTube experience in our system, you have a free host without the Youtube branding distractions. Control the splash image that is displayed with the video. Connect any splash image URL quickly and easily to customize the look and feel of your video. Create your own or grab a screen shot from your video. You’re in control of what image people see before you hit the play button. From the backend of the plugin you can adjust the video size to any size you want. This allows for greater flexibility on where you have videos displayed on your website. Align the video on the page easily without knowing code. Aligning videos to the center, left or right on the page can be really frustrating if you don’t know HTML or CSS. You simply select the alignment in a dropdown box, and your video will align exactly how you want it on your final page! Hide the video controls with one click! One click starts the video in auto play! With video sales letters, auto play is a key function. This tool allows you to simply toggle that off and on without having to insert complicated coding. 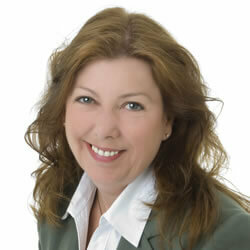 It is point and click simple so you can focus on other aspects of running your business. Reveal “Magic” buy buttons, optin forms, or any HTML! You probably already saw this in action in the video at the top of this page! Redirect the user to a page after the video ends. Do you know how powerful this is? Imagine creating a good affiliate review video or prelaunch video, and after the video ends you automatically redirect them to the page you choose! Any links work here. This can be affiliate links your own links or send them to another video! You can do all kinds of cool marketing sequences to stand out from the crowd! Don’t underestimate the power of this feature! Organize all your videos in one spot. With the high-priced video plug-ins, we mentioned earlier, it was nearly impossible to find videos once they were loaded in the system. It was a must for David and his team that his videos were organized, searchable, and in a table for easy access. The core of the Simple Video Management System product is the database structure. Show where your videos are posted on your blog! And if you’re using WordPress, you may have the same video on multiple pages. Knowing which pages will be affected by a video change is essential. So we designed this plug in to show you every single page or post where your video is being used. Add existing videos on the fly. If you’re in the WordPress editor and you want to add a video quickly, being able to do that from the editor itself is important. There’s no bigger time waster than having to shut down your page, go add the video content, and then re-open the page to add the video. This plug-in makes that process easy and intuitive. Make changes without affecting current pages and posts. And this may seem small, but it’s important. Your current video code must always point to working videos and adapt to editing changes on the fly. I remember breaking many of my sales pages in the past because I made a tweak to the editor. Talk about hours of frustration and lost productivity! Say goodbye to this problem! Make a change, and have the peace of mind that your pages will still work! This Plugin Is Already 10 Times Better Than The Old One We Were Using! I’ve been using the Simple Video Management System and I’m excited that our support tickets about video have gone down. It took my VA less that five minutes to install and configure (easy!) and we’re trying to push it’s limits as it has a ton more functions that I’m currently using! This plugin is already 10 times better than the old one we were using - of of the most popular video players on the market. Ensure your members get access to your training on the device and browser that they want. Stay organized on where all your member’s only videos are. If your members are happy and able to watch your content they will remain members which means more money in your pocket! 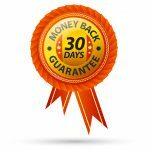 One customer staying around just one additional month could pay for this plugin! The Simple Video Management System Plugin has incredible features for sales videos including auto play features, the ability to hide video controls, and the option to reveal the “magic” buy buttons. All of these add up to higher conversions for you. According to Visually having a video on a landing page can increase conversions by up to 80%! With this player you can have the video auto-play, and you can even split test having the optin button “magically” appear below the video. Put your mind at ease that the video will play in all browsers, and will be mobile responsive. You can use this tool for preselling customers on products you promote as an affiliate. 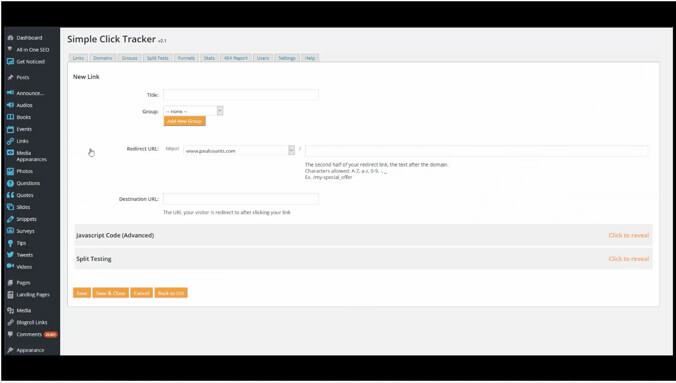 At the end of the video you could even redirect them straight to the product sales page that you were just promoting! You don't even have to create the videos! Watch my demo below! Have you ever posted a link to a JVZoo affiliate product on Facebook and gotten the immediate message that the URL is from a company that has been blocked? That’s maddening! How do you tell people about tool that you love if you can’t post it, right? Well, here’s an easy way: Create a 10 to 30 second video post on your site about the tool, use the redirect feature in SVMS to move the viewer automatically to the “blocked” URL, then add THAT video post to your Facebook page. David is actually running Facebook ads to JVZoo products with an interim video post using this system. Affiliate Promotion In Just 121 Seconds! One of the best ways to engage with your potential affiliates is through videos. With the Simple Video Management System, you no longer have to worry about whether your video looks good on mobile phones, tablets, or computers. Get your important message to your affiliates every time! Video reviews of products are a fantastic way to boost conversions on your own products or products you endorse as an affiliate. With this plugin in action you can manage all your product demo videos from one easy to use location! Thanks to the Simple Video Management System plugin and its seamless integration with YouTube you don’t even have to create your own videos to make it profitable for you! You can easily compile a list of top 10 videos and create cool looking blog posts with videos one after the other to offer your subscribers amazing content! You could even make HTML code for an affiliate offer display below the videos! Imagine creating posts in minutes that have this title: “The Top 10 How To Videos For Building The Perfect Deck”. Just think of all the traffic you would start receiving to your site from social shares! This plugin makes that possible! As you know a great way to build your brand and exposure online is by creating videos of your own and getting them out to the audience. Before this plugin you may have wondered how you would manage all these videos and all the moving parts. Now you can manage all your videos from one location, and know that your videos will play and display in a format that works best for your viewers! More viewers of your content ultimately leads to more revenue! So Who Is David Perdew? 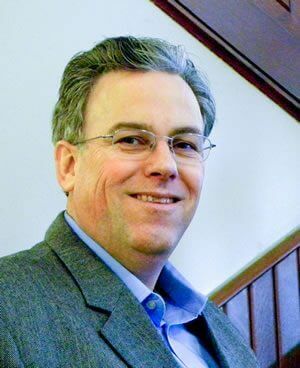 David Perdew is the CEO and chief architect of NAMS, Inc. (the Novice to Advanced Marketing System). I have used all my skills as a journalist, consultant and entrepreneur to build one of the most successful and fastest growing business training workshops available today. One of the biggest drivers to my success online has been the use of videos. In fact, I have over 1,800 videos driving my business. These videos are either driving traffic, selling my products and services, or educating the customers in my various memberships and training programs. Needless to say if my videos went down my business would go down with it. That is why I had a software tool created from the ground up that would allow me to easily manage my videos and play my videos in any browser. It's also why we're on Version 7.2 of this software - we use it every single day in our business. We keep it updated and chocked full of features. When you buy software, especially WordPress plugins, you want to make sure the software will continue to be updated. I am COMMITTED to this software because it runs 1800+ videos in my own site and thousands more on my members' sites. There's a REALLY good reason I built my own player. "I’ve tried them all… From $300 Video Player Suites to $17 knock-off plug-ins and guess what? None of them worked well!" I had 1000s of hours of videos from his My NAMS training site on Amazon S3, and a fancy player that organized, loaded and did stuff that SEEMED essential. Nearly one-third of my support tickets were complaints that my videos didn’t work in Chrome. Or Firefox. Or Internet Explorer. Or Safari. They seemed to never work in all browsers at the same time. That was incredibly frustrating to us and our customers! Fixing the fancy video plug-ins and players was completely out of our control. So we built our own from the ground up! The Simple Video Management System Plugin has been the engine behind MyNAMS marketing and content videos which have brought in millions of dollars in sales revenue. Order now and this tool is all yours for a ridiculously low price! ... complete with all the features David uses to power his seven figure revenue business and live workshop empire! This includes all the time-saving, money-saving, and money-generating features we mentioned on this page. This is a conservative $497 value tool. It is hard to place value on something as powerful as this! ...created by David himself so you can start using this plugin right away after you download it! Everything is covered, and since it is created by David you will get a behind the scenes view of how he uses this tool. We believe in equipping our customers with the tools they need to succeed! This is easily a $47 value! ...which will make you the go-to expert on using S3 for your video hosting needs! You need to know how to unleash the power of S3 for your business because you can't always rely on hosting your customer videos and other content on YouTube! Learn everything from uploading your videos, secret tools you can use to make uploading and managing your videos easier, how to secure your videos, and much more! Harness the power of Amazon and grow your business just like the marketing experts you look up to! 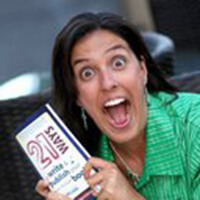 This 23 video training is a $147 value! HUGE ACTION TAKER BONUS - Private Customer Only Facebook Group. This is an absolutely huge bonus! You get access to a private, customer only Facebook group where we will be there to answer your questions related to using the Simple Video Management System plugin. Even if you don't know how to get your first video created or if you are a seasoned marketing professional, you will find great support in this amazing community! Build your business together! 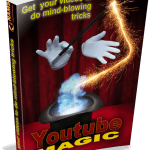 YouTube Magic Ebook - Make Your YouTube Videos Pop! Because you are acting today you also get a special ebook called "YouTube Magic". This is a fast mover's bonus, and is still available to you if you are reading this right now! You will learn exactly how to make your YouTube videos do mind-blowing tricks. After I read through this eBook, and learned a few things myself I told David we needed to offer it as a bonus, and he was kind enough to agree! Only catch is that we are reserving this special guide to those that are fast action takers and truly serious about their business, which I know you are since you have read this far! 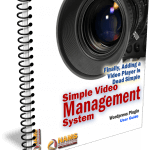 Pick up this additional $97 value guide by investing in the Simple Video Management System plugin right now! Let's make you understand how EASY this decision really is. We will shoulder ALL the risk here. If... after checking out the Simple Video Management System Plugin and bonuses for 30 days...you are unhappy with it -- for ANY reason at all -- then WE INSIST you return it. 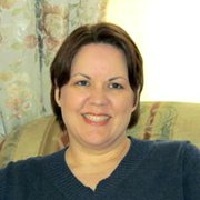 Simply open a support ticket at www.namssupport.com and your purchase price will be promptly refunded. Did You Notice How The Button Just "Magically Appeared?" That Is A Feature Of This Tool! What Is The Single Biggest Difference Between David's Business and Your Business? Have you ever wondered what makes the difference between a successful business, and a not so successful one? Often times there isn't that much difference between the two. It isn't always insider intelligence or talent. Many times the difference lies in what the business owner knows, and how they make use of that knowledge. And that is exactly why I am telling you about the software that my friend David Perdew uses in his business. If you want success you should duplicate what the successful people are doing! The Simple Video Management System tool is a totally unique video solution. It’s one of the rare video players that actually works, and values functionality over fancy features that you will never use! It has to work and be simple because this is the exact same tool I use to power the entire NAMS business! It seems like these days you are inundated with new “must have” video managers and players, but only come to find out they are broken, or require much more work than you were led to believe! To top it all off the video plugins from a few years back are clunky, not updated, and not up to the times! David and his team built this tool for functionality. As all the other video players on the market come and go, they have been quietly plugging along amassing 1,600+ videos in their software. This is a tool that is so functional it has not and will not become obsolete. It’s a shame if you’re suffering with one of these older solutions for managing and playing your videos. I’m a firm believer that when you see a good opportunity to upgrade your business you should take it. Once David shared the Simple Video Management System software plugin with me I was floored! I could already see all the applications for my own business. Before learning about this plugin I had no clear organizational structure or even an idea on how I was going to get all my videos organized for my blog and my main coaching club. And guess what? Now it doesn't matter. I can have my videos scattered all over the web, but manage them all in one place. And if I change a video out in the tool for a specific page, it changes automatically and immediately. 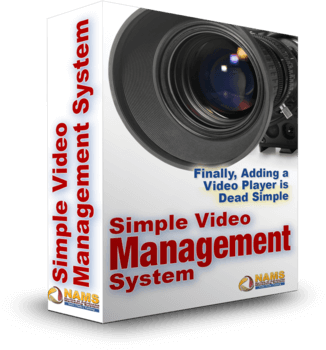 This is truly one-stop, dead simple video management system. This tool gives me the features I need with the functionality I crave! There are other leading video players on the market, but if you go with them you are going to pay much more than you would for the Simple Video Management System plugin. Your Time Is Money – Why Are You Wasting It? Your time really is money. This is not a cliché that people just say. Your most valuable asset is time. So you can spend your time trying to get a video player to work properly, or spend precious time each day trying to hunt down your videos, or you can get the Simple Video Management System plugin and put it to action in your business! Just think for a minute. What do you value your time at? Is it $15 per hour, $25 per hour, $100 per hour? Let’s say you spend an average of two hours per month (easy to do) messing with your current video player or manager. That means on the low end you are wasting $30/month and up to $200/month in real productive time. That equates to $360/year to $2,400/year! What if I could bring a solution that saved you that time? Would it be worth even $200? Now, let’s pretend your video player or manager is one you are happy with. What would the value added features be worth to you? I am talking the “magic buy buttons”, the automatic redirecting, the mobile responsive videos, and more. I am sure if one of these features made you just one or two affiliate sales it would more than pay for itself, right? Thank you for reading this far! We can’t wait to put your success story on this page with the others you just read! P.S. We know just how powerful this is, so we are going to be marketing this to smart small business owners, but at a higher monthly price. So get in now at the lowest possible monthly price! P.P.S. 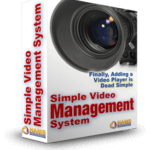 The Simple Video Management System plugin is one of the only video manager and video players on the market that is guaranteed to work in nearly any web browser (including mobile). You, too, could be experiencing more profits, leads, and exposure for your content. Claim your license now. We look forward to changing the way you do business with video. Q. Where do I go if I need support with the plugin? A. We are happy to help! You can get support at www.namssupport.com. Also, you will get support on our live customer only Q&A and inside the customer only private Facebook group that you also get as a bonus! You will have all the help you need to ensure you get the most possible from your investment today! Q. Does the video player work on HTML websites as well or only on WordPress sites? A. Yes, it does! You can use the embed code provided inside the plugin to use on any type of website you have. This gives you maximum flexibility. You just install the plugin to your WordPress site and setup your videos inside of the plugin, but again you can use the embed code for the video on any web page you choose! This software even works with these popular marketing services. Q. What version of WordPress does this plugin work on? A. This plugin is tested up to the very most recent version of WordPress. That is WordPress 4.5. The best thing for you is that you get free lifetime updates to this plugin. So if a new version is needed due to a WordPress change, you will get that for free. The only catch is you have to purchase this before 11:59 PM EST on Thursday, January 12th. Q. What are the advantages to the multi-site license? A. The multi-site license enables you to install the site on an unlimited number of website domains that you own. This means you can manage all your videos easier for each website you have. You can also use the shortcode feature with WordPress on as many sites as you want. If you go with just the single site license you can only install it on one WordPress site, so that means the short code embed feature won’t work with other domains. You could still embed the code, but the multi-site license is the best value as it gives you the most options.